From the last couple of years, the market has been flooded with different types of apps; for instance, on-demand apps, event apps, corporate apps, e-commerce apps, etc. As you know, almost all apps that involve money transactions integrate with third-party apps, these third-party apps are called e-wallets that allow users to pay bills without hassle. The culture of using this mobile digital payment system, no doubt intensifies a business growth, conceding an edge over the business contenders. The necessity for wallet App Development opens with the abundance of smartphone availability and this has made more and more people comfortable using smartphones, either it's about the online purchase, making query or payment, the smartphone comes as a feasible solution. As per a survey conducted in the year 2015, 39% of respondents performed payments through mobile devices in the USA. The company carried the similar survey in the year 2016 in which 32% of respondents used online payments and digital wallets. Where 78% of consumers were familiar with them. In another survey conducted in the year 2017, consisting of the 63% usage rate among total mobile buyers, the digital payment apps for e-commerce stores were the most popular. The Juniper Research indicates that a 32% increase is expected in the money spent via a mobile wallet. Further, According to the report generated by Statista, the revenue of the global mobile wallet market has risen from 450 billion US dollars to 780 billion US dollars. And the experts also predict that the growth to rise to more than 1 trillion in the year 2019. Let's have a deep-dive on how to develop a mobile wallet app to attract more customer base. The Mobile App Development Companies must offer an option for generating an individual profile, where the user can store all the details like name, mobile numbers, address, bank details, transaction details, etc. in the profile. As we know, the feature plays a vital role only if it offers personalized service and easy accessing. 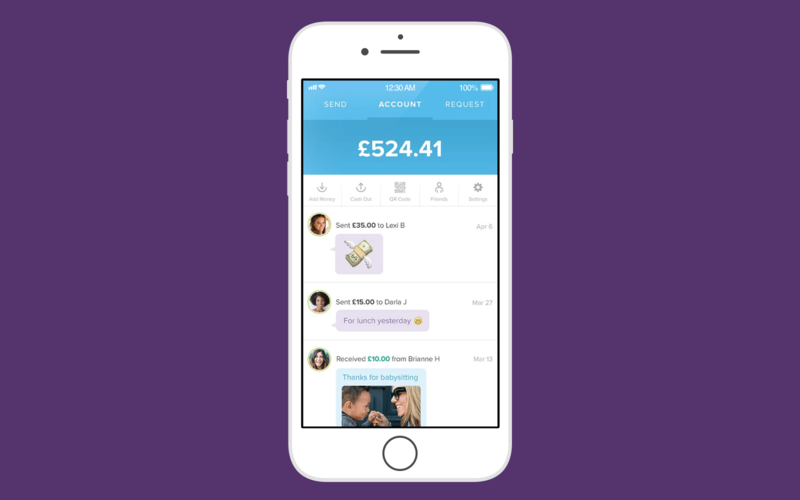 The user might have more than one bank account, thus the app must have the option of syncing bank details of more than one bank. For this, the developers must tie-up with all the banks to proceed with this functionality. Note: for the initial phase, the developers should integrate with brand banks only. A great Mobile Wallet App is one that allows transaction of even 1 dollar. And, it depends on the app development services management to determine what should be the maximum and minimum limit of the transaction. For instance; If a user is buying books and do not have cash. The vendor must have a mobile wallet payment option. Even if the bill is 2 dollars, the user should be able to pay even such a small amount. This is one of the most liked features by users. 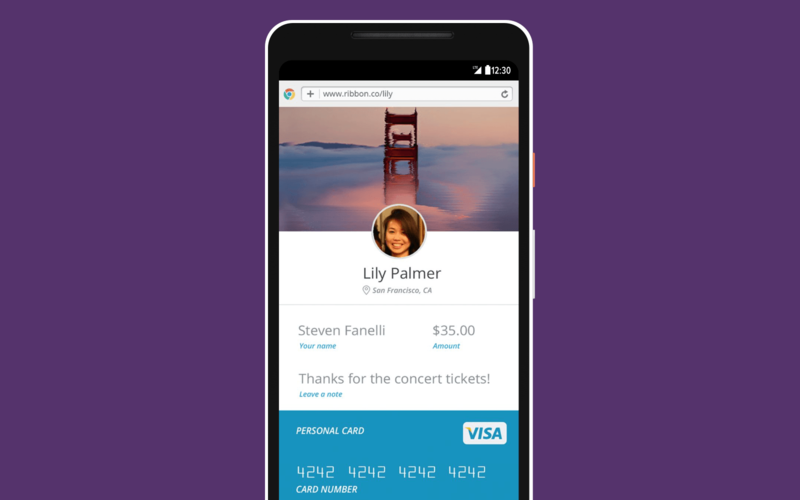 Split bill is one of the hot options in advanced mobile wallet apps. 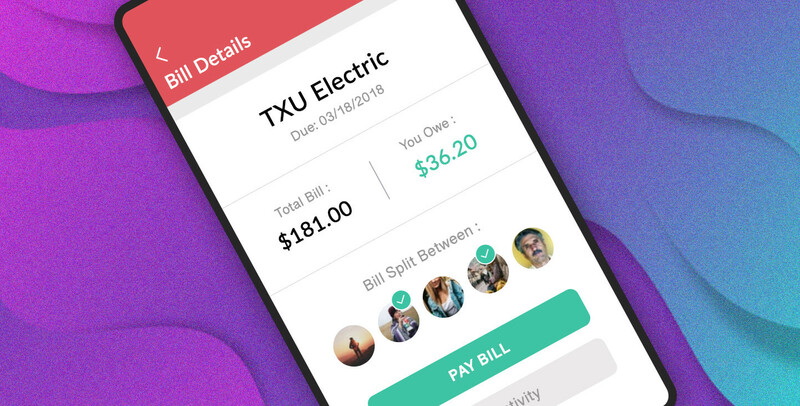 The user needs to add profiles of other users and add total bill amount, then the app will automatically split the amount. The app will also notify the other group members. What if you want to send money to a friend through the mobile wallet but they are not using a mobile wallet. No worries, if you have the sender account details like name, account number, the name of the bank, branch name, IFSC code, the user can put these details to make the transfer as all e-payment apps have an option called transfer money to the bank account. Mobile wallet development is the full-fledged solution for business. 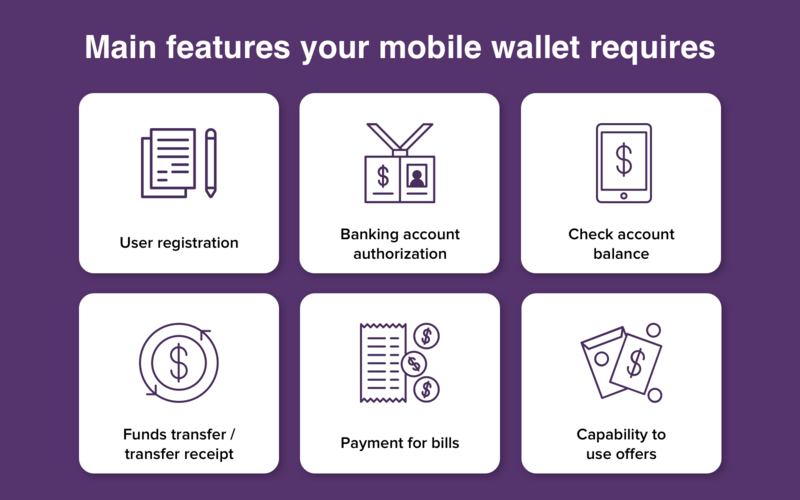 Apart from the above-mentioned features, here are some of the additional features that can enrich your payment wallet app. ➣ There are different type of mobile wallets that can be built according to the business requirement and understanding the user’s behavior. ➣ Wallets that execute mobile web payments (user sends and receives payments via the mobile app) Wallets that use near field communication (NFC). This technology is operated in the mobile app and special equipment, built into the smartphone for contactless interaction with the payment terminal. If you want a mobile wallet app development to makes your business perfectly accelerate in the upward direction. Hire leading development company like Root Info Solutions that make a dynamic name in the world of development based on engineering lead approach fueled by advanced technology.